Arrived back in Queenstown for a couple of days and now I've headed down to the coast to get started on the practical side of my Rescue Dive course. While I was travelling and competing I completed all the E online theory assignments - so it's time to hit the water. Unfortunately, I was looking forward to a warm beach experience but didn't expect the snow to hit so soon. Hopefully a sign of an awesome southern snow season. 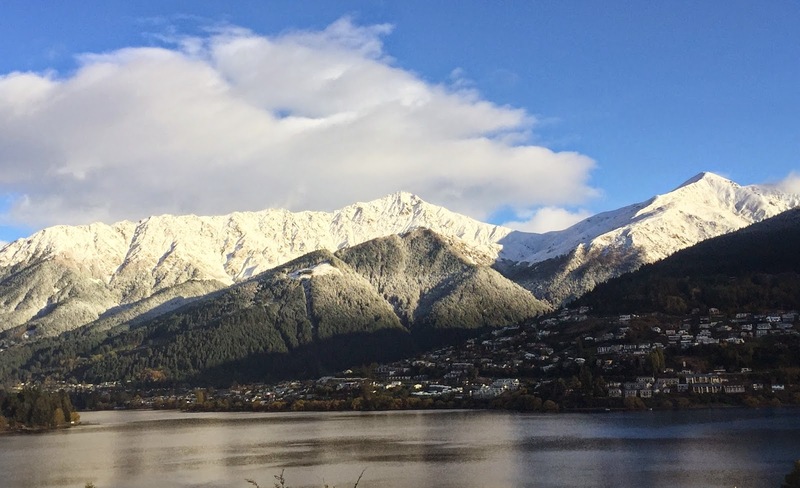 Here's a shot of Queenstown yesterday and the drive into Dunedin from the coast this morning. Diving cancelled today, the major southerly, snow & swell put an end to it. Can't say I was too upset. Off to buy a new pair of diving gloves - using the leather cray collecting ones yesterday but started to loose the feeling in my fingers - seriously cold wind chill when you are wet! !